As certified public accountants, we are committed to creating an environment of excellence and innovation. We value our relationships with clients and provide unparalleled services with the highest degree of integrity, professionalism and confidentiality. Every client receives our high-quality personalized services that use the latest technology and resources. 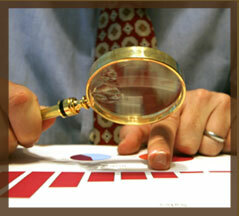 Our services include accounting, auditing, tax preparation and advice, and business consulting. Our diverse clients range from individuals to multi-million dollar corporations to not-for-profit organizations at the local, national and international levels. Dalal & Company is a member of the Private Company Practice Section of the American Institute of Certified Public Accountants (AICPA), Tax Section of the AICPA, and the Virginia Society of Certified Public Accountants. We participate in our profession’s self regulation through peer review and remain current with changing trends by annually providing our staff with continuing education far exceeding AICPA established requirements.